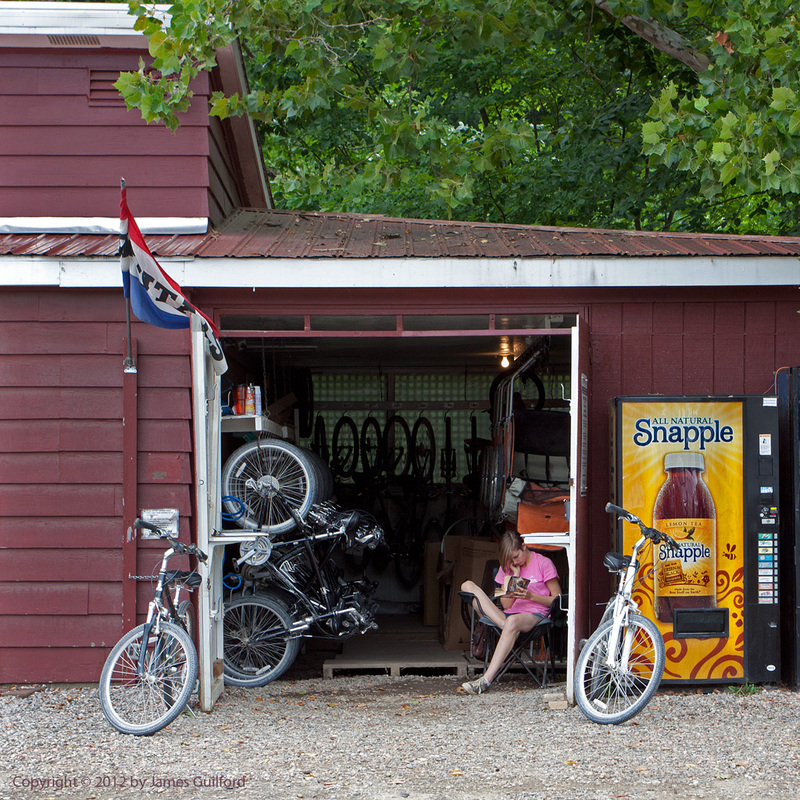 Summer Job: Waiting for Bike Rentals at Century Cycles, Peninsula, Ohio. I had trouble getting motivated and inspired to do anything today, picking up the camera and heading out into the cloudy, cool, and gray day was just the right thing. As I looked around and discovered quiet beauty and interest in so many places, I became energized. Ironically, it took what many would have considered a gloomy atmosphere to lift my feelings. Sometimes a cloudy day is just the right thing. 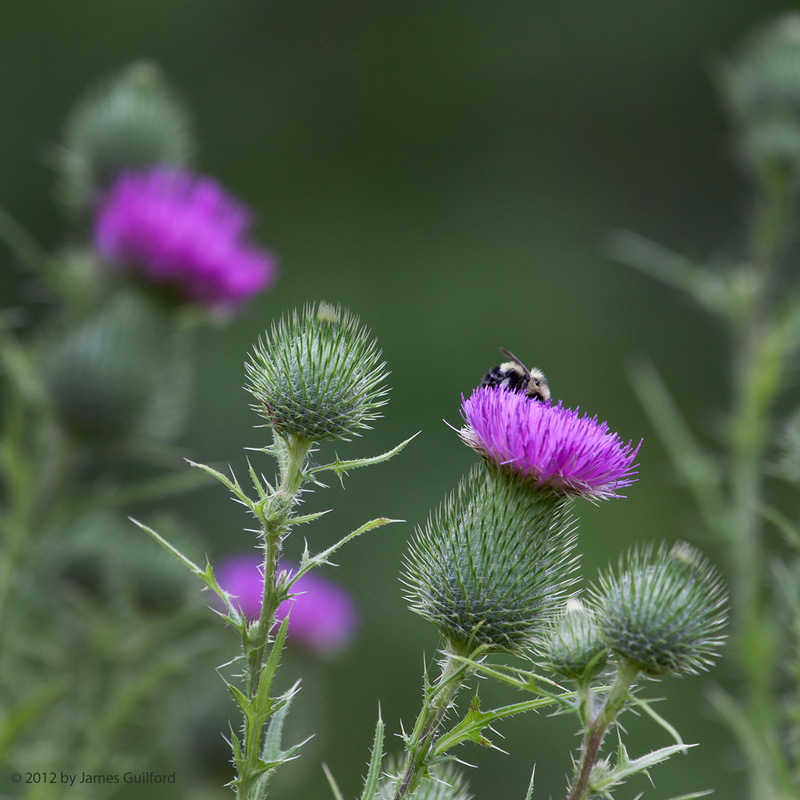 A bee probes a thistle flower searching for food in the Cuyahoga Valley National Park, Brecksville, Ohio. James that bee photo is absolutely gorgeous! The other one is nice too but I really like the bee and the flowers. Much as I love them, I’m pretty happy to have something other than insect and flower photos to share. I was delighted how well the bee and the thistles came out. Thanks!